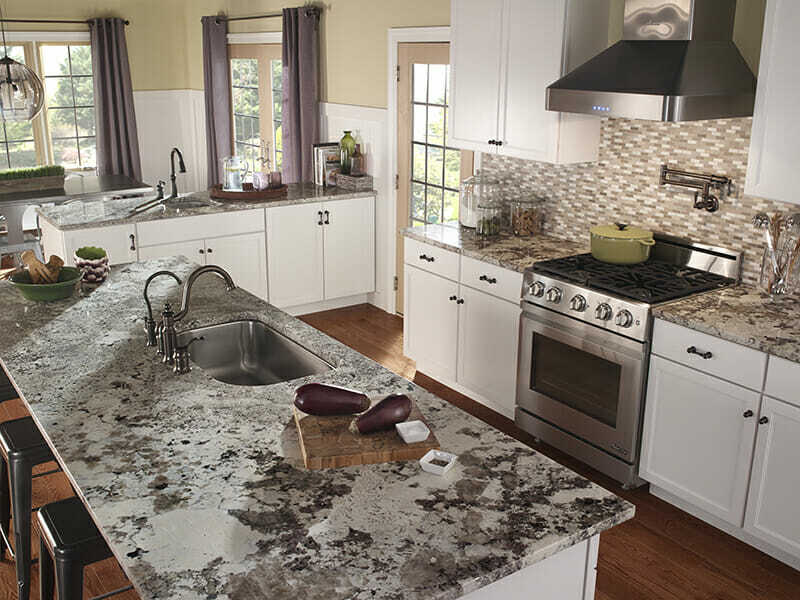 Granite countertops remain the preferred choice for kitchen countertops for consumers nationwide. Unlike most other countertop surfaces, granite countertops are 100% natural, extremely durable, and available in hundreds of colors covering virtually every design preference. 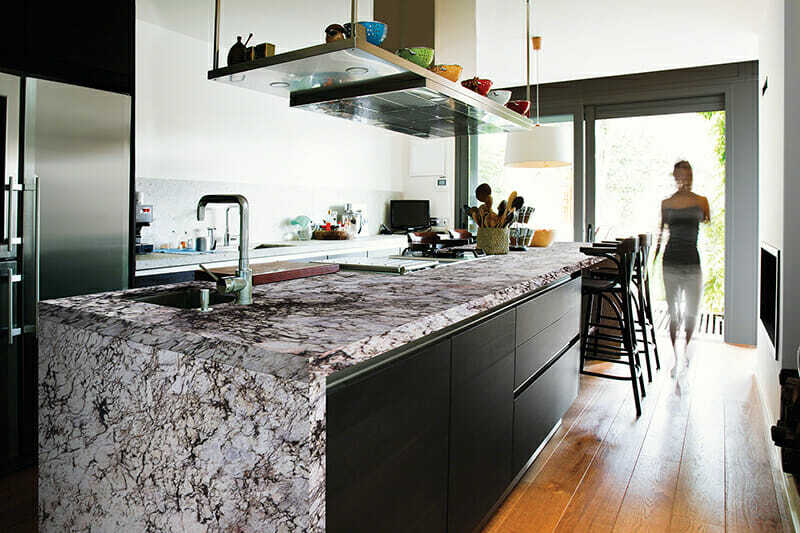 It is easy to understand why granite has remained the top countertop choice over the years. It is one of the hardest materials on earth; it is durable, easy to maintain and is available in a wide array of colors and textures. From subtle white granites to dark black granites, and everything in between, there is natural granite to complement every design style. 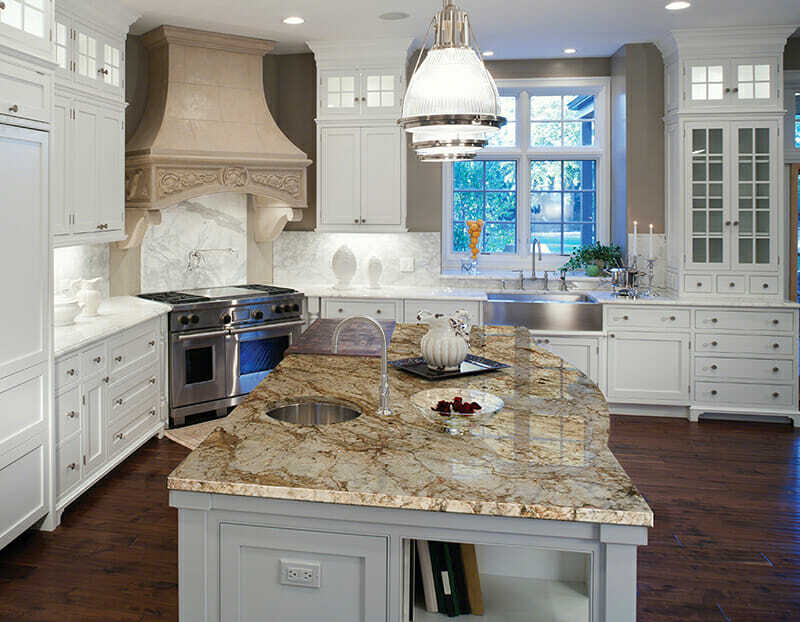 Here are the top 5 reasons to choose granite countertops for your home. Watch any home improvement or real estate television show, and you’ll notice that the first thing consumers ask for in a kitchen are granite countertops. You can readily see their disappointment when they walk into a home with quartz or other man-made countertops. Granite is still the most popular countertop material because of its durability and natural beauty, plus the fact that it conveys luxury. While the housing market has started to recover in many areas, there are still communities in which it is a “buyer’s market.” In some areas of the country, it is estimated that home sellers can expect a 100% return –or more — on their investment in granite when they sell their home. While granite countertops in your kitchen or bath aren’t the only selling point, it can be the factor that tips a buyer from one home to another. Natural granite slabs are unique; no two pieces are identical. Each slab, color and variation has its own charm and appeal. From rich earth tones, vibrant shades of green, blue, red or yellow, to more basic tones of black, gray and white, there is a natural granite slab that will be at home, in your home, regardless of design style. Many compare their granite countertops to a one-of-a kind priceless piece of art. Additionally, while there are many dramatic granite slabs and colors, there are also just as many granite slabs in softer tones, with less dramatic veining. For people that like the look of white marble patterns, but are hesitant because of marble’s maintenance, there are many white granite options to choose from. These granite slabs emulate the look of marble, but come with the superior durability and ease of maintenance. Other countertop surfaces including quartz, laminate, and solid surface are man-made materials that often seek to imitate or replicate the look of granite using chemicals, pigments, plastics, polyester resin and other unnatural materials. The results are either uniform surfaces that remove all of the true characters of natural stone or fake looking imitations with unnatural veining. Quartz and other countertop manufacturers continually strive to duplicate the beauty and durability of natural granite, but consistently fail. 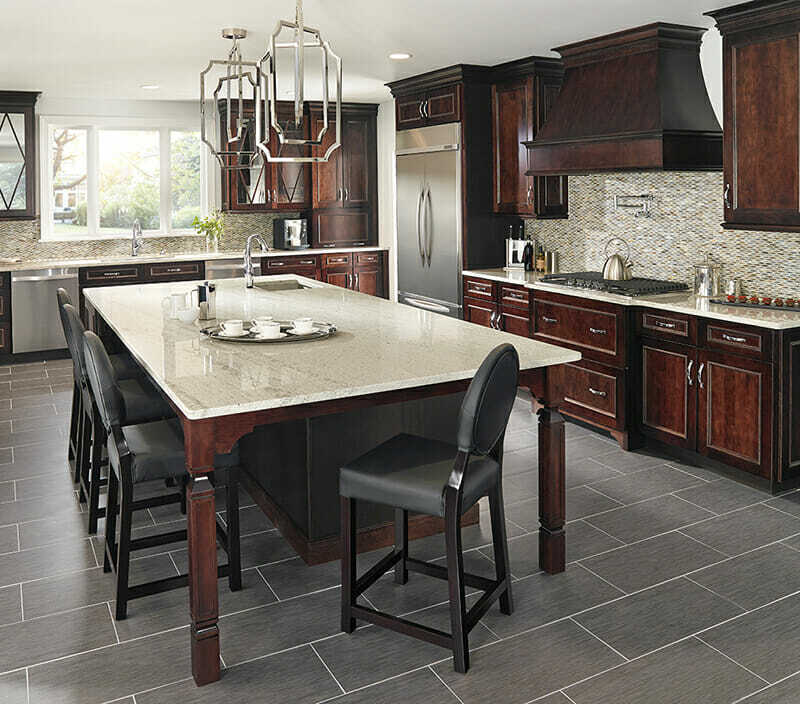 Granite is competitively priced with quartz, and many types of granite are even more reasonably priced than some engineered stone and quartz slabs. After each meal, wiping down kitchen countertops with a soft cloth and gentle cleanser is all you need to do to keep your granite looking beautiful. Granite is tough, resistant to staining, etching, and won’t scorch if you happen to place a hot pan on it. Homeowners, who want an extra level of protection, can quickly seal their countertops in about 10 minutes and have a lifetime warranty against staining. Granite countertops will last your lifetime—and beyond. Over the next 30 years, comparably priced countertops, and even those that are significantly more expensive than granite, will most likely have to be replaced twice. New bathroom and kitchen countertops are an integral part of not only design, but also the function of the room. In both kitchens and bathrooms, they take the brunt of the daily routine, and need to be crafted out of a durable and timeless natural stone. With many man-made countertops, you have to make your selection based on a small sample that may or may not accurately represent what will be delivered to your home. When you choose to install granite countertops, you have the freedom of previewing entire slabs of natural stone, and select the one you want in your home. Viewing the whole slab allows you to make an informed decision based on the innate color variations and veining, which may vary widely from slab to slab. It’s a fact: Granite is here to stay. It is a classic look that will remain in style for years to come, while offering the long-term durability needed to sustain everyday life activities. With granite, you can be assured that it will always serve the purposes you are looking for, while remaining a stunning focal point in your kitchen and bath. This guest post was written by Kathleen M. McCoy.